The terror attack, which occurred on 14 February near the town of Pulwama in the district with the same name of the Jammu and Kashmir state, struck a serious blow to not only any positive (but weak) trends in the relationship between India and Pakistan, but also to the situation evolving in the subregion of South Asia as a whole. We would like to remind our readers that as a result of the attack by a vehicle-borne suicide bomber, who drove an off-road vehicle with 300 kg of explosives into a convoy of Indian military personnel moving along the main state motorway, more than 40 people died and an approximately equivalent number sustained injuries. And although in the Indian part of the former princely state of Kashmir a guerrilla warfare has been waged non-stop (with practically daily casualties), this act of terror was the bloodiest in recent decades. A militant group Jaish-e-Mohammed, included in a UN list of terrorist groups and designated as such (which is important to highlight) in Pakistan, claimed responsibility for the attack. At this point, it is essential to add some key comments. As without them there is no sense in describing the words or actions following the terrorist attack, which were spoken or initiated by the leaders of not only India and Pakistan but also the two world powers, i.e. the USA and China. In Pakistan, it is believed that the previously mentioned organization was a product of the notorious problems facing the Indian section of Kashmir, where this group is based. However, in India there is a wide-held belief that the all-powerful ISI (the Inter-Services Intelligence in Pakistan) sponsors this and other similar organizations, and that leaders and training camps of Jaish-e-Mohammed are in fact in Pakistan. The author of this article will abstain from expressing his own point of view on this subject as well as the much broader topic of the Kashmir conflict, which, overall, is a sensitive issue for two of Russian Federation’s key partners. However, we will take the liberty to address the theme of relationships existing between participants within the system “special forces-terrorist organization”. Up until now, the mere existence of such an arrangement was primarily discussed in relation to Pakistan. However, in recent years it has become quite apparent that such “systems” are also present in “civilized” countries. And there is no real need to make any forms of moral judgements about this issue. Everyone faces problems over which they do not wish to get their hands dirty (officially). Unfortunately, our world is not perfect. We would also like to add that an acknowledgment of the presence of this syndrome is what compelled the former U.S. Secretary of Defense Robert Gates to object to American participation in the Libyan venture in his time, which had begun, first and foremost, with the help of Anglo-French “sponsors”. As for Pakistan, the extremely tough situation in the country and its surroundings demands (in the most stringent terms) that special forces, responsible for ensuring security, maintain some form of contact with dubious organizations. As a result, naturally, it becomes problematic to effectively monitor activities of such organizations. The act of terror in Pulwama was, seemingly, a manifestation of this issue. It is unlikely that the situation in the Indian part of Kashmir will improve drastically if the ISI undertakes serious efforts to combat the organization Jaish-e-Mohammed. It is simply a question of time (a fairly short period seemingly) when in its place a similar organization (but lacking any semblance of control) will appear in the Jammu and Kashmir state. Taking into account the scale of what happened in Pulwama, it is worth noting that the leadership of both India and Pakistan has been able to keep the state of their bilateral relations under control. Still, naturally enough, rhetoric apt for the occasion did follow from New Delhi. However, out of all the retaliatory measures voiced by India, the deadliest ones (as for instance, the use of air strikes to hit “terror infrastructure in Pakistan-occupied-Kashmir” with precision were not carried out for now. As an investigation, which started, has unearthed some important clues about the terrorist attack. Still, the return of sharp rhetoric (for example, a voiced intention to isolate Pakistan economically and politically) into the framework of bilateral ties indicates that, after Pulwama, this relationship has practically instantaneously hit rock bottom. Similar developments were last observed more than two years ago when, following attacks by militants of Indian border patrol’s guard posts and barracks in that same Kashmir, Prime Minister Narendra Modi threatened to cut off water supply to Pakistan from tributaries of the life-sustaining Indus River. Pakistanis responded with their own counter-threats to resort to nuclear weapons. 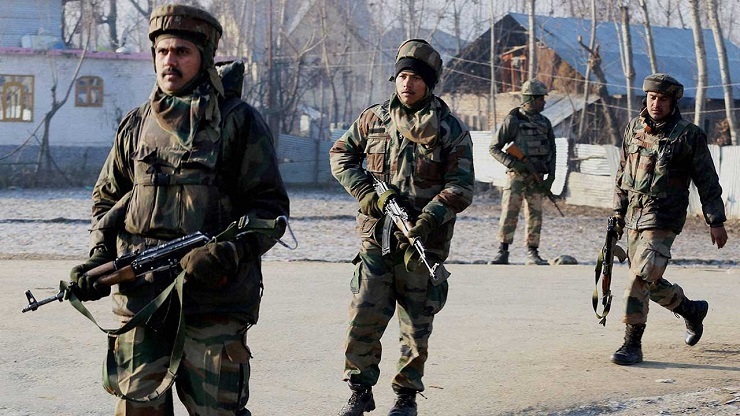 From the author’s point of view, the act of terror in Pulwama is not in the interests of either of the two world powers, with each playing its own game of chess in the subregion of South Asia. The United States was forced to sharply rebuke Pakistan, who President Donald Trump only recently expressed his intention to improve relations with as part of the plan to withdraw U.S. forces from Afghanistan. In China, the tragic incident in the Indian part of Kashmir was clearly overshadowed by a more important event for Beijing: the visit by Prime Minister Narendra Modi to the state of Arunachal Pradesh, which had taken place 5 days earlier as part of his campaign tour before the upcoming parliamentary elections. We would like to remind our readers that, in the PRC, the territories of the previously mentioned state are viewed as belonging to China and referred to as South Tibet. Hence, the visit of India’s Prime Minister to Arunachal Pradesh resulted in an act of protest by the Ministry of Foreign Affairs of the People’s Republic of China. The terrorist attack in Pulwama turned out to be a truly inopportune incident, first and foremost, for the Pakistani leadership on many grounds. One such reason was that only a day earlier one of Baloch militant groups carried out an equally bloody act of terror near the border of Pakistan and the Iranian Sistan and Baluchestan Province. The attack was aimed at the local headquarters of the Islamic Revolutionary Guard Corps (IRGC). One of the leaders of IRGC also threatened Pakistan with retaliatory measures during his speech at a funeral service for one of the victims of this terrorist attack. It is noteworthy that the Pakistani government has long waged a war against any form of separatism, including such a movement in its own province of Balochistan. What makes these state efforts especially significant is the fact that Baloch militants are increasingly taking aim against sites of the China-Pakistan Economic Corridor (CPEC), which are extremely important for the Pakistani leadership, Chinese construction workers and even Chinese diplomatic missions. At any rate, both Iran and Afghanistan have backed U.S. appeals, directed at Pakistan, to stop supporting terrorism. And all of these problems have fallen on the shoulders of the recently elected Pakistani Prime Minister Imran Khan. One of his key promises, made during last year’s campaign before the parliamentary election, was his intention to improve relations with India. And since the Pakistani army (and by default the ISI) is behind all the important political events in this nation, the only complaint which could be levelled against the country’s current leadership is the fact that it has not taken enough measures to combat terrorism, and not that it (even indirectly) supports such organizations. It is extremely sad that one of the main consequences of these recent acts of terror, which Pakistan has been accused of in one way or the other, is the fact that the situation in the subregion of South Asia is entering a state of chaos and all of its dire outcomes to follow.